The Sombrero, also known as M104, is one of the largest galaxies in the nearby Virgo cluster, about 28 million light years from Earth. This Great Observatories view of the famous Sombrero galaxy was made using NASA's Chandra X-ray Observatory, Hubble Space Telescope and Spitzer Space Telescope. 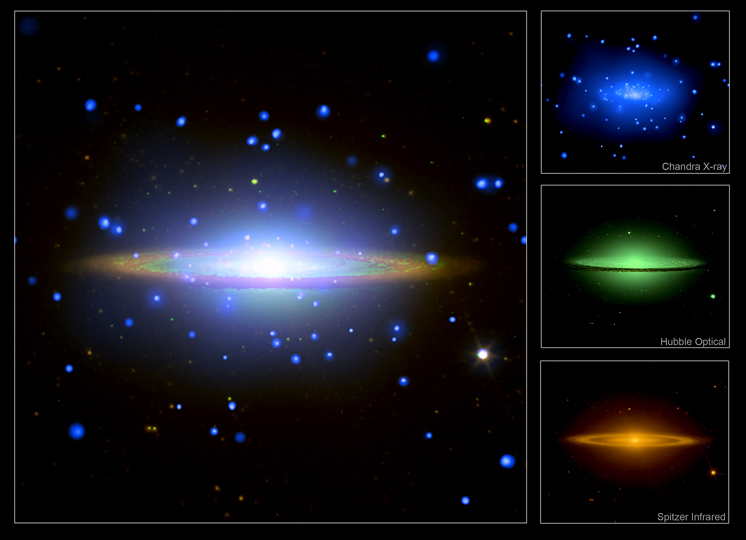 The main figure shows the combined image from the three telescopes, while the three inset images show the separate observatory views. 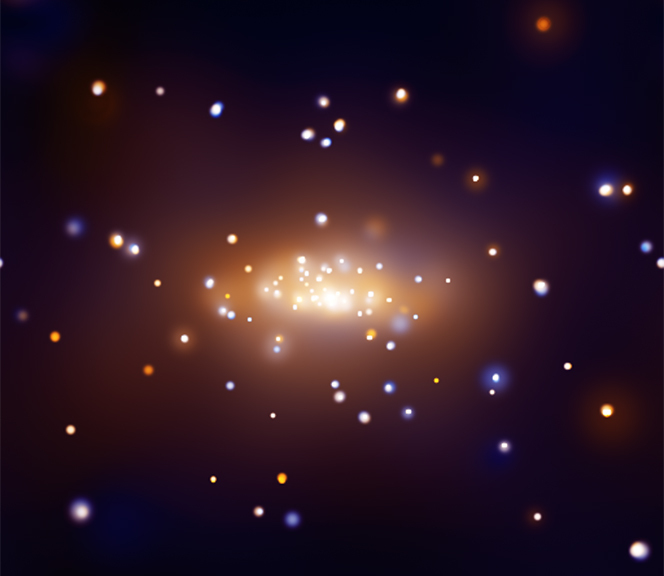 The Chandra X-ray image (in blue) shows hot gas in the galaxy and point sources that are a mixture of objects within the Sombrero as well as quasars in the background. The Chandra observations show that diffuse X-ray emission extends over 60,000 light years from the center of the Sombrero. (The galaxy itself spans 50,000 light years across.) Scientists think this extended X-ray glow may be the result of a wind from the galaxy, primarily being driven by supernovas that have exploded within its bulge and disk. The Hubble optical image (green) shows a bulge of starlight partially blocked by a rim of dust, as this spiral galaxy is being observed edge on. That same rim of dust appears bright in Spitzer's infrared image, which also reveals that Sombrero's central bulge of stars. Scale Image is 8.4 arcmin per side. Coordinates (J2000) RA 12h 39m 59.4s | Dec -11° 37´ 23"